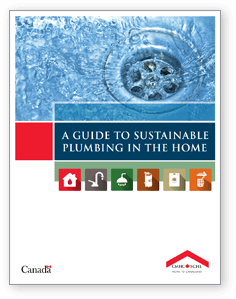 This section contains ideas regarding plumbing and appliances that should be discussed in further detail with your architect, builder or plumbing contractor. Most ideas/appliances listed here are available in your local Wolseley branch stores. 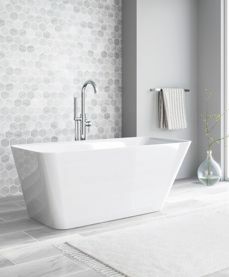 For more information, please contact your Kitchen & Bath Classics consultant (click here to find your local Wolseley distributor). Storage (tank) water heaters are significantly more efficient than they used to be (check the specific model/manufacturer), but they are still less efficient than most demand-based systems due to standby heat loss and energy usage. Instantaneous (tankless) water heaters heat water only when there is a call for hot water from the system. It is critical with tankless water heaters to consider required hot water flow rates, and to ensure (as with any system) that distances from the heater to the fixtures are not too far (or if they are, they are adequately addressed by recirculation or supplemental heating). Did you know that more than 96% of the food we throw away ends up in landfills? Once in landfills, food breaks down to produce methane, a potent greenhouse gas, which contributes to climate change. One of the best ways to reduce household food waste, therefore helping our environment, is to compost food scraps instead of throwing them away or tossing them into a garburator. Most sinks available in our studios are ultra-durable, colourful, and do not require chemical cleaners with everyday use, reducing the amount of chemicals that return to our water supply and keeping your kitchen clean the natural way. Greywater technologies are advancing. Roughing-in will keep your house ready for future needs. 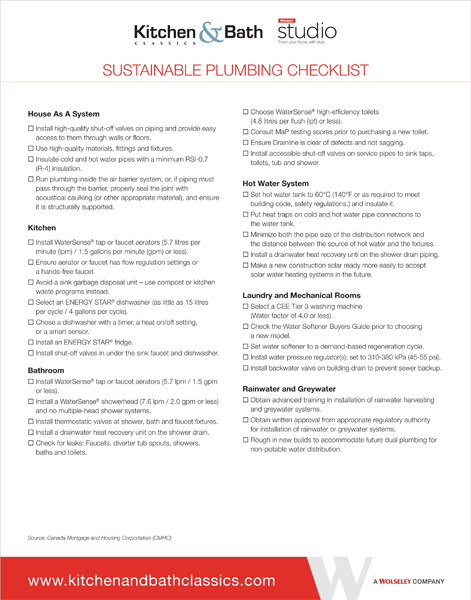 It is better to plan for greywater in new construction than to retrofit later. Greywater is regulated by code (check for local requirements). As water shortages continue to occur due to climate change, municipalities are looking at greywater as a cost-effective alternative to increasing capacity at wastewater facilities.